Lyme and Tick Borne Disease is a serious problem that is caused by two types of bacteria: borrelia mayonii and borrelia burgdorferi. 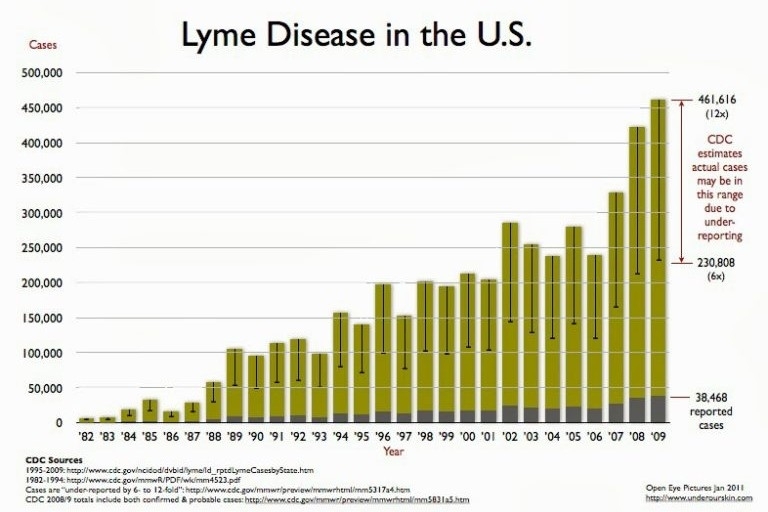 Lyme disease is the most common tick-borne disease (TBD) however there are numerous other tick-borne diseases that can be transmitted if/when you are bitten by a deer tick that was already infected with the bacteria. There are signs and symptoms for TBD, these include a small red bump appearing at the site of the bite, this rash can appear within 3 to 30 days and can expand out into a pattern similar to a bull’s-eye but is not always present. Other common early signs of lyme disease are flu like symptoms, chills, fatigue, fever, headaches, and body pains that may accompany the rash. Advanced TBD symptoms may appear months or weeks after the initial infection. These include further rashes, extreme joint pain and swelling around the knees, inflammation throughout their body – within the membranes surrounding their brain resulting in meningitis or temporary paralysis. Other symptoms include impaired muscle movement, weakness, or numbness in extremities, heart palpitations, severe fatigue, headaches, head pressure, brain fog, and/or difficulty finding words. Sweeteners – avoid sugars, fructose, and/or corn syrup. Consume stevia, honey, splenda, and aspartame in small amounts. For maximum benefit, the exercise session should last at least one hour. Never exercise two days in a row. Never allow your heart rate to go above 110 bpm. Always exercise a muscle group and then stretch that same muscle group right after (i.e. leg press machine then quad stretch). Be sure to be supported while stretching if you have poor balance. As your balance improves you can progress to stretching in standing or without support. Focus on improving overall conditioning to improve strength and reverse the poor conditioning that results from lyme. Focus on a whole-body exercise program, consisting of light calisthenics and weight lifting, using small weights and many repetitions. If you would like more information on PT360’s comprehensive lyme disease program, please call 860-4360 or email us with your questions and/or comments.